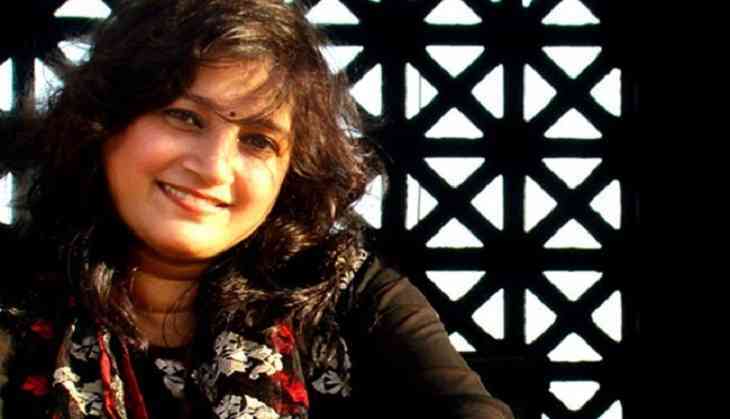 Specialising in the Sufi form of singing, Kavita Seth is known for her Bollywood playbacks like Iktara (Wake Up Sid), Tumhi Ho Bandhu (Cocktail), Jeete Hain Chal (Neerja) and the recent one added in her list is Aisi Hoti Hai Maa from Maatr starring Raveena Tandon. Which song you feel was the turning point in your career? Definitely Iktara from Wake up Sid. It brings a wide smile on my face when I regularly hear it on radio, television shows etc. Is there any song that you relate to? I think I've been blessed with songs that are truly memorable in their own way. However, Jeete Hain Chal from Neerja resonates with my personal life and its words are something that I strongly believe in - Living each day to the fullest. How do you balance work and personal life? Music is my life. I'm blessed that my passion is my profession. I don't need to balance it any other way. The days I'm not able to do my riyaaz, I'm a restless person. When you look back, how has the position of women changed over the last few years? I think women have made a mark across the fields. Facing challenges fiercely has made women shine and emerge victorious in this male dominated world. There is definitely more awareness, better opportunities among people. Do you think a woman needs a man to complete her? I believe in individuality. Every person is unique in their own way. Yes, a woman complements a man and vice versa. It is a bond, a relationship that becomes the strength for each other. As a working woman, do you suffer pangs of guilt that you may be neglecting your home? I think it's about making the most of every minute. Each moment is precious. When I'm at home, I spend time with my family and usually pursue my other passion that is cooking. I love feeding them. And I'm also blessed with two boys who are immersed in music. They are responsible for introducing me to all kinds of music from different parts of the world. What women related issue need to be addressed immediately? I think we need to focus on providing safety for women. Once you're rest assured with safety and security, it automatically solves many other issues following it. What do you love about being a woman? Women are emotional, sensitive and they have the ability to express and articulate are the things that I love about being a woman. I'm very eager to share my work on one of the most prominent Indian authors and poets - Amrita Pritam with the world. The album will have my renditions of her precious poetry. I am also working on a very interesting live performance with poetry recitation and musical renditions of the same with the Parveen Shakir of India - Dipti Mishra ji. Her poetry touches my soul and I'm very excited to be working with her.